Please tell me about the financial planning process. What is Fee-Only financial planning and why should it be important to me? Does Financial Solutions LLC provide only comprehensive financial planning? For what types of investments and financial planning matters do you provide advice? If I use Financial Solutions LLC to develop a financial plan, am I obligated to purchase the recommended products? Do you offer educational programs for companies who want to educate their employees about 401(k)s, investing and other benefit-related issues? 1. Please tell me about the financial planning process. Financial planning can be either comprehensive, focusing on most or all of the major components of your financial matters such as investments, retirement, taxes, insurance, etc., or it can be very specific, focusing on only one or two issues of key importance to you. In either case, financial planning is a multi-step process that provides you with two important outcomes: (1) An in-depth review of your current financial situation, and (2) a blueprint that shows you how to achieve your goals and objectives for the future. It is always important to remember that financial planning is a process . . . not an event. Like most things worth doing in life, you have to stay at it to achieve the results you desire! 2. Who can benefit most from your services? Any individual or family seeking financial peace of mind can benefit from our services. We serve people at all income levels, from all walks of life. We do not require that clients have a minimum net worth, or income level. We welcome clients who simply need a one-time financial consultation or a second opinion, as well as those who are seeking ongoing coaching and monitoring over a longer period of time. In addition, any corporation or organization seeking quality, unbiased financial education for their employees can benefit from our financial education programs. 3. What is ''Fee-Only'' financial planning and why should it be important to me? True Fee-Only financial planners are paid by their clients and only by their clients. They don't sell financial products of any kind, nor do they receive commissions or hidden fees. Financial Solutions is a true Fee-Only financial planning practice. This is important, because when you work with us, the possibility of a conflict of interest regarding compensation does not exist. We will advise you on financial products such as investments and insurance, but we do not sell them or receive any benefit from their sale. This allows us to seek out the best alternatives for you without third-party relationships or outside influences to color our thinking or recommendations. We think that when choosing a financial planner, you should always ask and fully understand how they are compensated. We invite you to ask us for this information at any time. For more information about Fee-Only financial planning, please visit www.NAPFA.org. 4. 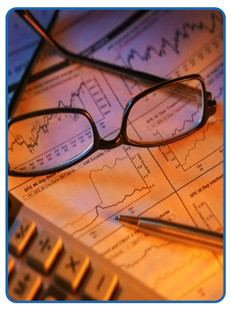 Does Financial Solutions LLC provide only comprehensive financial planning? No. Although a comprehensive financial plan can often provide the greatest benefit for you, our unique service model gives us the flexibility to tailor our advisory services to your specific needs, such as retirement planning, cash management and budgeting, portfolio review, etc. 5. I understand the benefits of working with a Fee-Only financial planner, but I might need to obtain financial products. How will I be able to do that? While we don't sell financial products, we offer specific recommendations and opinions regarding their purchase if they are appropriate for you. We can assist you with implementing these recommendations, or we can direct you to the appropriate contacts so you can implement them on your own. We are flexible enough to provide as much or as little help as you desire. 6. For what types of investments and financial planning matters do you provide advice? We provide advice for most types of investment securities (as they relate to your portfolio holdings), including mutual funds, stocks, bonds, bank deposits, variable and fixed annuities, limited partnerships, tax shelters, etc. We provide advice and education on retirement planning, budgeting and cash flow issues, 401(k)'s, 403(b)'s and other retirement programs, rollovers, stock options, life and disability insurance, mortgages and more. If it has to do with money and finances, we can usually provide counseling, guidance and/or resources for you. Finally, we can also provide important financial education for those just starting out or trying to get "up to speed" on their finances. 7. If I use Financial Solutions LLC to develop a financial plan, am I obligated to purchase the recommended products? Absolutely not. We will offer recommendations that we believe will, in our professional opinion, meet your needs and objectives, but you are under no obligation to purchase them. In today's competitive market, it makes sense to shop around for the best available product or service. For instance, if you need to obtain a life insurance or disability policy - we may suggest the type of policy, and which riders, and what amounts may be best for you. We will then direct you to one or more companies that can provide a quality product at competitive prices. And, of course, we can also help you with implementation if you would like us to. - We believe that the allocation of investment assets (i.e. among stocks, bonds and cash) is the most important component in developing a client's investment portfolio. The design of the portfolio should take into account a client's financial objectives, tolerance and capacity for risk, needs for current income or liquidity, and any other considerations unique to the client. Perhaps most importantly, the asset allocation should be such that the client should be able to "sleep at night" regardless of what happens with short term market fluctuations. - We believe in investing for the long term. Studies show that stock market investing becomes less risky as the investment time horizon increases. Generally, long-term means at least five years and preferably much longer. We do not believe in market timing. - We believe that a diversified and well-balanced portfolio of low-cost, tax efficient investments will serve our clients best. We typically recommend no-load index funds and/or Exchange Traded Funds to help clients achieve their investment objectives. - And we believe that investing does not have to be rocket science to be effective. Our straight-forward approach to financial planning and financial education is reflected in our approach to investments and in our recommendations. Except in unusual situations, simpler is usually better. 9. Do you offer educational programs for companies who want to educate their employees about 401(k)'s, investing and other benefit-related issues? Absolutely! We can custom-build an educational program for your company to help your employees understand why they'll be better off if they participate in your benefit programs. And, since Paul has years of experience teaching as an adjunct at multiple Ohio universities, including The Ohio State University, he's able to present complex financial concepts in a manner that's easily understood by all. We can also educate them on investing basics and other financial matters so they can make well-informed decisions both inside and outside of their company plans. Your employees will appreciate the fact that you have engaged an independent, fee-only firm, eliminating the possibility of product sales, promotions, or biased advice. Please call us to discuss your company's specific educational needs. 10. How do you price your financial planning services? Our fees are based on the time that we spend meeting with you, either in person or over the phone, researching and analyzing your financial situation, and providing you with specific recommendations. Before you hire us, we will always tell you the full amount of the fee for the engagement. All fees are fully disclosed in advance. ...NO SECRETS, NO SURPRISES. Financial Fitness Checkups: Our most popular service, this is a two- to three-hour interactive financial planning session where we analyze and provide specific guidance on issues of most importance to you such as investments, retirement savings, taxes, education savings, debt management, etc. The fee for the Financial Fitness Checkup typically ranges from $900 to $1,900, depending on the complexity of your situation. The fee amount is based on our estimate of the time it will take to prepare our analysis, plus the time that we'll spend together in the Checkup meeting. As always, we'll tell you the exact fee before you decide to go forward. We offer a special rate for young savers under age 35. Hourly Engagements: Hourly Engagements are most frequently for reviews that don't fit within the framework of the Financial Fitness Checkup because they are either too complex, or they are very specific in nature. As you'd expect, the fee for Hourly Engagements depends on the nature and complexity of the engagement. Our hourly rate is $250/hour. For returning clients who return within two years of their previous meeting, our hourly rate is $225/hr, And for young savers who are just getting started with their savings, we offer hourly "Coaching Engagements." These highly educational sessions which still include specific recommendations, are billed at $150/hour. Retainer Engagements: These are ongoing relationships that last twelve months or less, depending on your needs. At the end of the term, you can decide if it makes sense to renew for another. Retainers typically begin with a Financial Fitness Checkup to get you started on your financial plan. Then you'll receive ongoing guidance and support to help you implement your plan and keep it on track. The fee for Retainer Engagements depends on the term and complexity of the engagement. It is a fixed amount determined before the engagement begins, and billed on a quarterly basis. 11. How much will my financial plan cost? (Please see our response to the previous question for a detailed response). The fee for a financial plan or consultation will vary based on the specific needs and complexity of your situation. We will always tell you the full fee amount before work begins. Remember, since we are Fee-Only planners, ALL charges are fully disclosed to you. If you decide to engage us, we will ask you to sign a short contract documenting our agreement to go forward and the responsibilities of each party. 12. Once my financial plan is completed, will our relationship end? That's up to you! Most of our clients return for periodic checkups to ensure that once they get their plan on track, they keep it on track. We also recommend periodic portfolio rebalancing to ensure that your asset allocation remains on target. And of course our Retainer clients have an ongoing relationship with us. Remember that financial planning is a process, not an event. Once you get started, if you stay with it, you will reap many long term benefits. For this reason, we always encourage clients to return for periodic reviews and updates. 13. How can I get started? The first step is up to you! Call us at (614) 604-3551 or contact us via our Contacts Page to schedule a meeting. We offer a no-cost, no-obligation "Get Acquainted" meeting, either on the phone or in our offices. These meetings are scheduled based on availability during regular business hours of 8-5, Monday through Friday. Expanded office hours are available to accommodate special needs and long-distance clients. THE KEY IS. DON'T PROCRASTINATE!! Most clients find the financial planning process stimulating and enlightening once they get started. And the end result, of course, is greater peace of mind. We look forward to helping YOU build a brighter financial future!